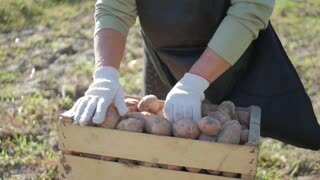 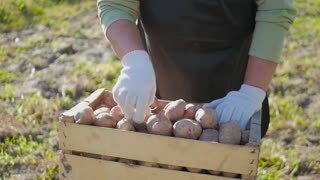 Adult woman farmer collects and sorts fresh potatoes into wooden box. 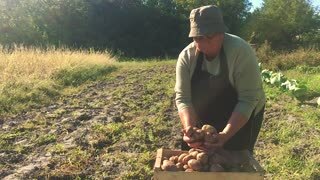 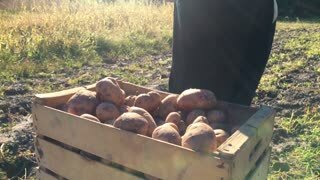 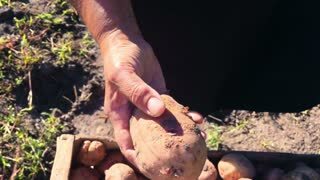 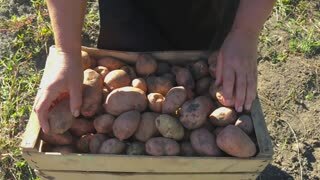 Harvest of young potatoes is harvested in garden. 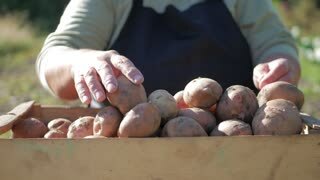 The concept of ecological food and vegetarianism.